Talented young female footballers in Renfrewshire have the chance to improve their skills thanks to a new development programme. 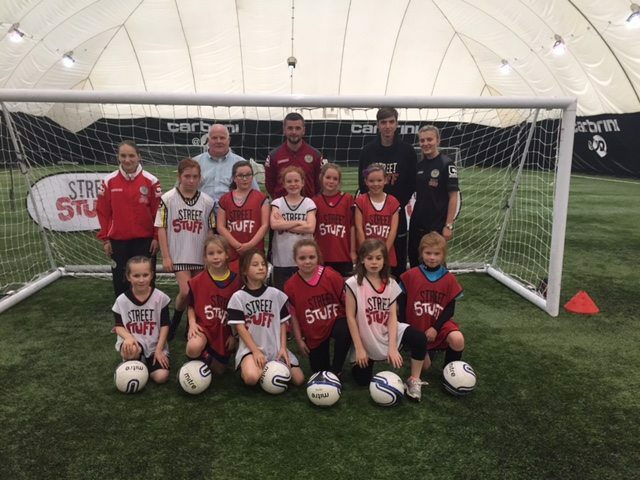 The award-winning Street Stuff initiative and St Mirren in the Community Have teamed up for a free Girls Development Programme at the Paisley side’s Greenhill Road base. The Carbrini@JD Airdome will host sessions for female players aged 8-14 on Wednesday evenings. Street Stuff provides evening and weekend activities diverting young people away from possible antisocial behaviour. The programme is a partnership between Renfrewshire Council, St Mirren Football Club, Engage Renfrewshire, Police Scotland and Strathclyde Fire & Rescue.